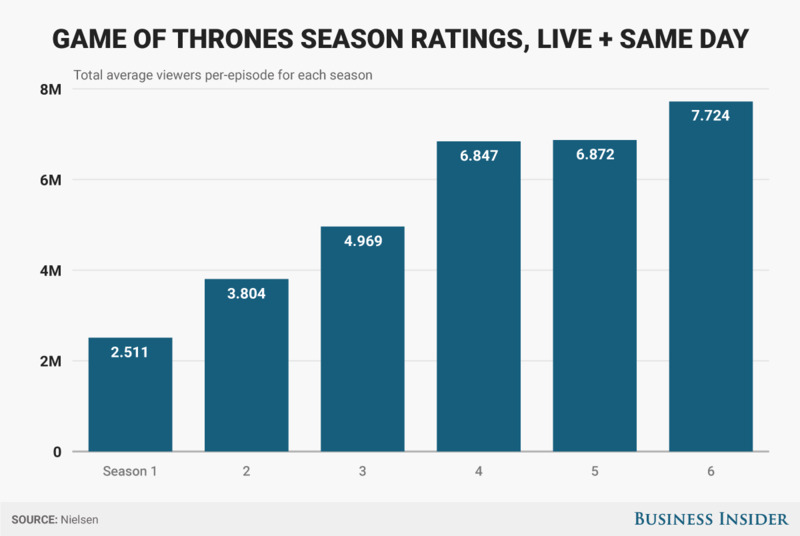 Though HBO’s “Game of Thrones” was an instant hit when it debuted — and quickly became the most-watched program in network history — its audience has actually grown significantly over the course of its six seasons. 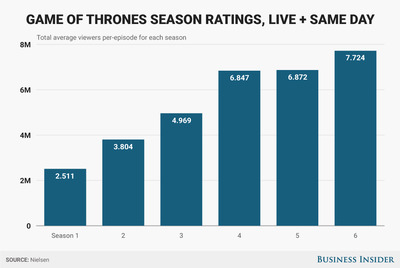 Ratings data from Nielsen show just how drastically the viewership for “Game of Thrones” has increased each year. 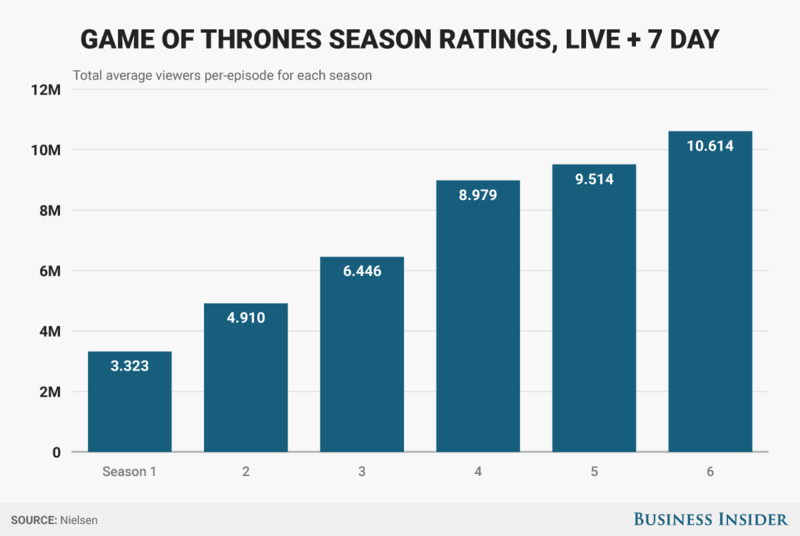 In its first season, “Game of Thrones” averaged 2.51 million viewers per episode for live broadcasts and same-day viewing. By season six, the show had an average of 7.72 million viewers per episode — over three times its season one viewership. And when we look out to seven days, the increase is even more drastic. 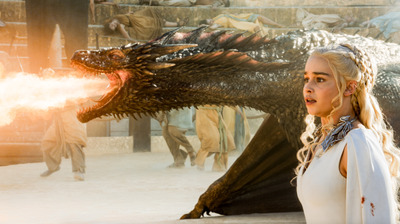 In its first season, “Game of Thrones” averaged 3.32 million viewers for live broadcasts and first-week viewing. In season six, the show averaged 10.61 million viewers in the same manner. However, none of this data accounts for the record-setting audience of illegal streamers and torrentors that the show has spawned, so its true viewership is even more impressive, once the statistically significant population of “global miscreants” is taken into account. Season seven of “Game of Thrones” premieres on HBO July 16.